A LETTER FROM THE SALUTE TO ISRAEL FESTIVAL TO MARILYN MONROE. New York, 1957. 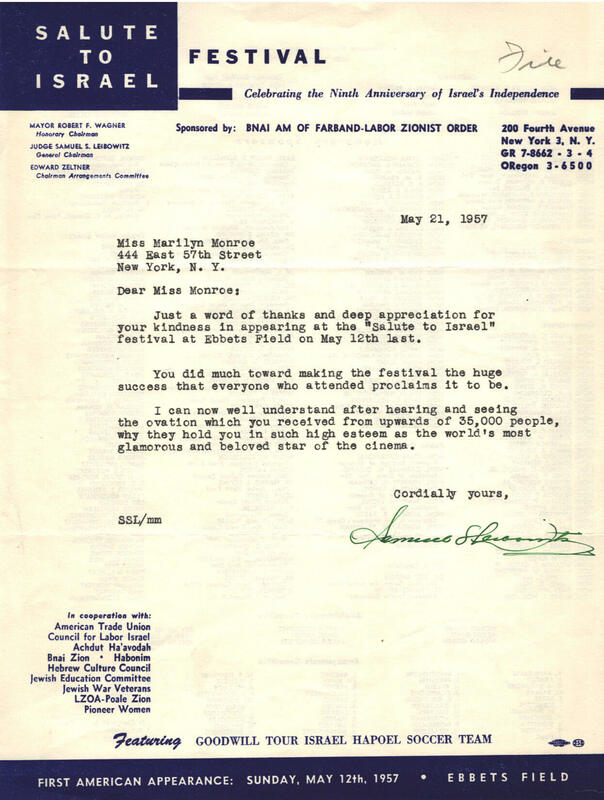 A letter from Samuel Leibowitz who was the general chairman of the parade thanking Ms. Monroe for her appearance and support. Originally in the estate of Lee Strasberg.